We are the official Enactus team at the University of Illinois at Urbana-Champaign. Founded in 2007, our organization exists to create real change through our projects while preparing our members to succeed in their future careers. We are a community of student, academic, and business leaders committed to using the power of entrepreneurial action to transform lives and shape a better, more sustainable world. Where others see challenge, we see opportunity. 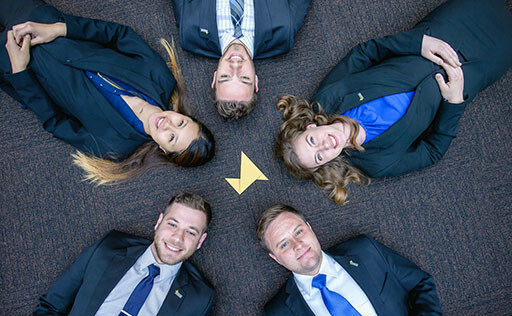 We have been ranked 8th in the nation among hundreds of Enactus teams. We've helped 3 individuals with disabilities start their own t-shirt printing business including a printer and physical storefront. We have created affordable water filters for a community living in poverty and without access to clean water in Trujillo, Peru. We've developed a healthy and inexpensive meal order business to employ and feed our local community. We have built a successful aquaponics system in pursuit of eliminating food insecuirity locally and abroad. We have established the first Chamber of Commerce in Masatepe, Nicaragua. We've secured 13 women who have suffered from domestic violence jobs which allows financial independence. We've sent our members across the world to create social impact - from Tanzania to the Philippines.